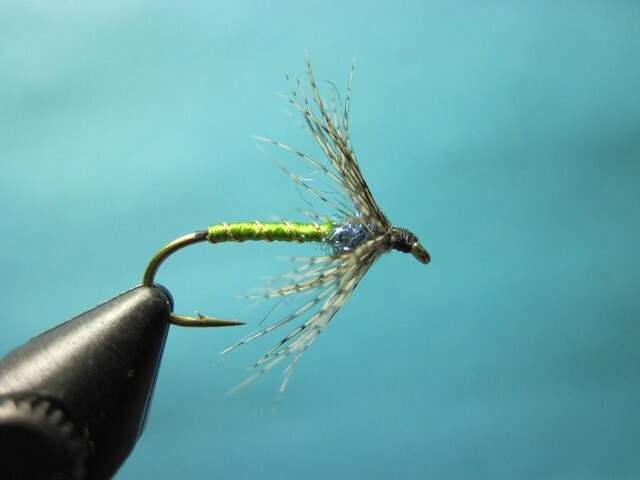 The Soft Hackle fly is one of our favorites for early season local flshing. The classic soft hackle is easy to tie and very effective. Fish it on a floating line down and across swing style or hang it behind your favorite dry fly. Barrett demonstrates how to tie a modern version using Ice Dub as the thorax. This entry was posted in McKenzie River. Bookmark the permalink. How is that dark olive Ice Dub? It looks blue to me. What brand hackle pliers do you use? Dk. olive ice dub is bluish until it is in the water. The hackle pliers are made by C and F designs.